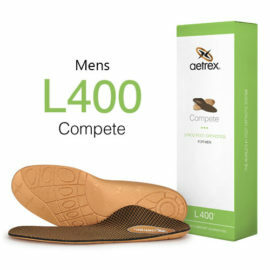 The L400® is a light-weight, resilient orthotic that provides superior cushioning, shock absorption and arch support during high impact activities. Each pair provides stability while you run and protects your feet with advanced features clinically proven to help prevent common conditions such as Plantar Fasciitis, Arch Pain and Metatarsalgia. 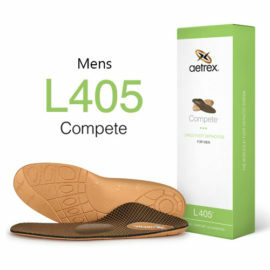 The L405® is a light-weight, resilient orthotic that provides superior cushioning, shock absorption and arch support during high impact activities. 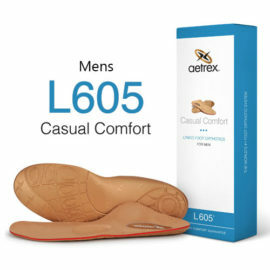 Each pair provides stability while you run and protects your feet with advanced features clinically proven to help prevent common conditions such as Plantar Fasciitis, Arch Pain and Metatarsalgia.